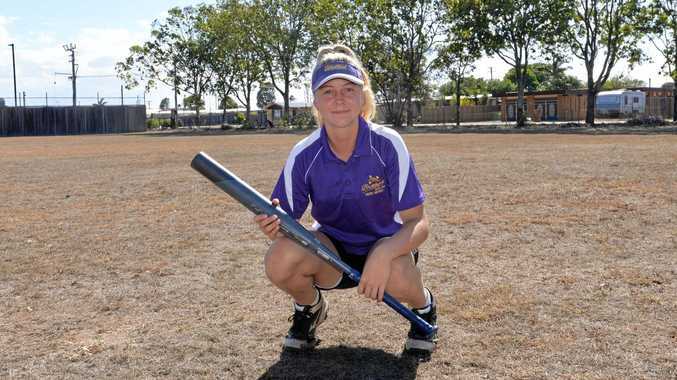 THE long days and nights practising softball at home with her father have led to the highest honour for Bundaberg's Chelsea Zunker. Zunker has been selected for Australia in under-15 for the Friendship Series to be held later this year in Brisbane. The Brothers United player was selected after representing Queensland in January at the nationals. "Mum came and showed me the email and I started sweating, I couldn't believe it,” she said. Zunker is now hoping to take the number one pitcher role when she head to the series. "If I train hard I reckon I can do it,” she said. Zunker will now prepare to play for Brothers this weekend in the A-grade preliminary final against the Terrors before playing in the grand final in under-16s next week. She will also train with her father to continue to improve. "We train four to five times a week and do that in the off-season,” she said. "Dad catches to me when I pitch to him and he will hit balls to me to field. Zunker will play for Australia against New Zealand from July 5 to 12. She wasn't the only Hervey Bay Softball Association player to be picked with The Waves' Connor Pashley, Tarah Staines and Leah Bertram also picked in U14 girls and boys team respectively.